We are excited to announce Apollo! 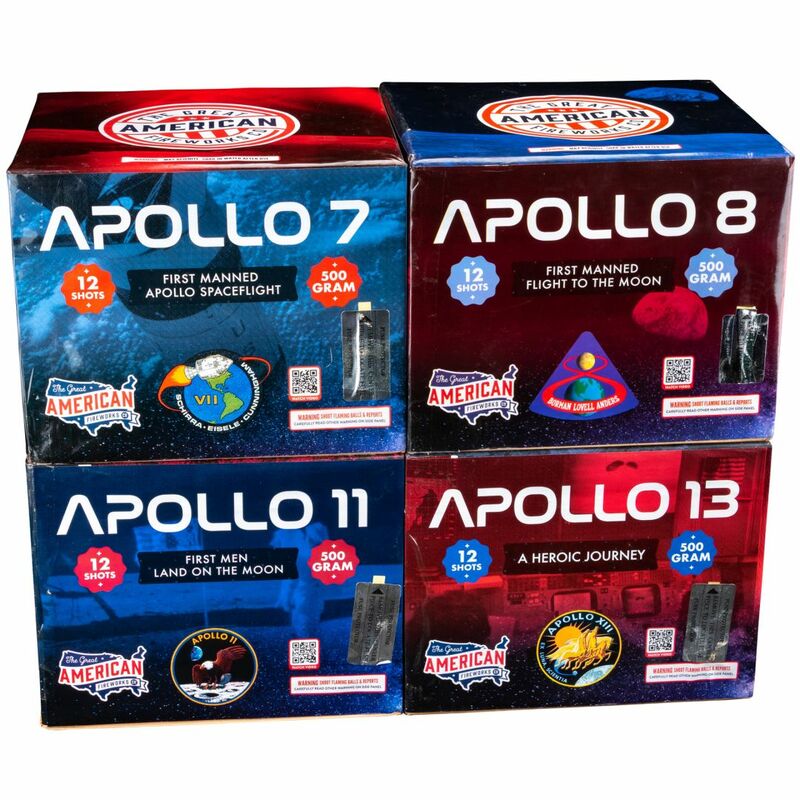 This 500-gram, mixed-case assortment from The Great American Fireworks Co. is new for 2019 and pays tribute to four of the more well-known Apollo space missions, including: Apollo 7, the first manned space flight of the Apollo missions; Apollo 8, the first orbit of the moon; Apollo 11, the first man on the moon; and Apollo 13, the infamous and heroic “Houston, we’ve had a problem” mission. You will love that all of the breaks from Apollo feature everyone’s favorite firework effect, the willow! This hard-hitting set has arrived early and is available now at Superior Fireworks! The Great American Fireworks Co.
We are huge fans of these 12-shot 500-gram repeaters because they include true 2″ ball shells and hit nearly as hard as 9-shot finale racks with one thunderous shot after another. Each break is a colorfully tipped willow preceded by a glittering tail, which will appeal to the willow lover in both you and your audience. 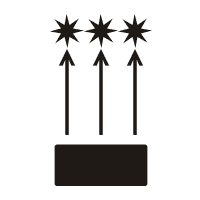 Consider firing each repeater in Apollo one after another to give your show a strongly themed two-minute willow barrage. Another great idea would be to fire them together to provide a spectacular, hard-hitting willow finale. However you decide to use Apollo, it is sure to get a rave response from your crowd! 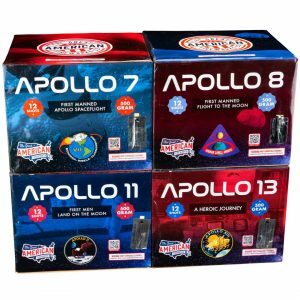 Apollo is available for just $115.60 for the set at wholesale or $174.39 for the set at retail. Apollo is just one of the many exciting new products we are adding to our catalog in 2019. We expect several other 2019 early arrivals including Ringing In The New Year, Downtown Display, and Midnight Ride just to name a few. Be sure to follow us on our blog and social media channels to be among the first to be notified as other new for 2019 fireworks are announced.